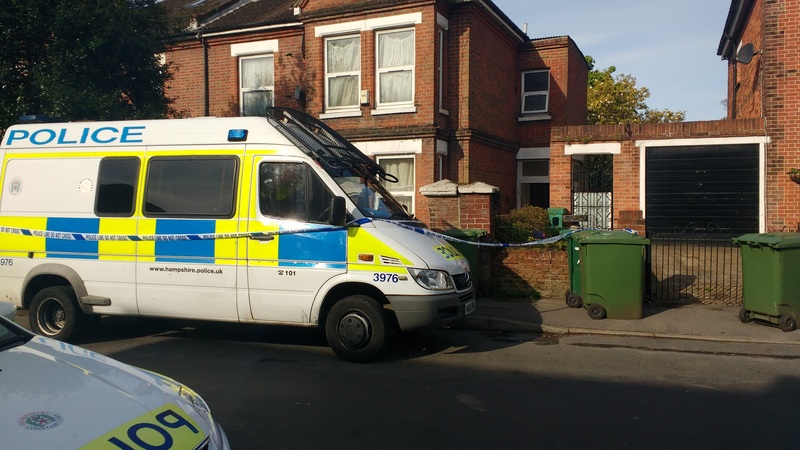 A man has been charged on suspicion of murder and a following two have been arrested after a man was stabbed to death in a Westridge Road property last week. Last week, Wessex Scene broke the story of the murder of 49-year old Michael Freshwater, known as Micky, whose body was found at the Portswood property at 4:15pm on Friday 29th April. Police cordoned off the road and quarantined the area after his body was discovered. Extra patrols were active throughout the weekend but police have emphasised it is an “isolated incident”. Two men, aged 26 and 35, were also arrested but have been bailed and released without charge. Officers have also arrested a 22-year old man on suspicious of assisting an offender and a 44-year old on suspicious of conspiracy to supply class A drugs. Ashton Singh, 26, of Westridge Road has been charged with perverting the course of justice. The multiple-occupancy house in the heavily student populated area has remained taped off by police who have set up a marquee in the back garden. Micky Freshwater, originally from London, moved to Southampton five years ago. He was a plasterer and keen West Ham fan. His friends and family have paid tributes describing him as “a truly amazing soul” with a “beautiful heart”. He was a regular at the Exile Gym in Shirley, where he often encouraged people to participate in mixed martial arts. Manager Dean Kendall described him as “a happy-go-lucky guy who was a lovely fellow”, adding that he was a “family man” and said: “I feel absolutely gutted for his family. I met his youngest daughter and he had a really strong bond with her. We are continuing to investigate the circumstances surrounding the murder of Michael Freshwater and are currently following a number of lines of enquiry. We have been speaking to people and carrying out enquiries at the scene. This has enabled us to build up a picture of what we think happened leading up to, during, and after this horrific incident. As part of our enquiries we have located a firearm that we know was present at the time of the murder. However, there is nothing to suggest anyone was injured by the firearm. We continue to appeal for information and would like to hear from anyone who may have witnessed or heard a dispute at the address. Please come and speak to us, in confidence, and tell us what you know. Anyone with information about this incident is asked to call the Major Crime Investigation Team at Southampton Central police station on 101, quoting Operation Windless, or Crimestoppers anonymously on 0800 555 111.